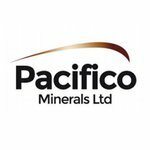 Pacifico Minerals (ASX:PMY) along with its $1 billion-capped joint venture partner, Sandfire Resources (ASX:SFR), is making excellent progress in the Northern Territory’s world class base metals district, the McArthur Basin. PMY recently reported highly encouraging leach test work results from its Borroloola West’s Lorella prospect. It has also progressed exploration having completed and analysed diamond drilling at Borroloola West’s Coppermine Creek, Mariner, and Berjaya prospects. Given its success so far, PMY has now begun work on estimating a JORC inferred resource and exploration target based on potential strike extent. PMY is also about to commence an aircore drilling programme in the coming weeks to test strike extensions to increase potential tonnage of oxide copper. There is a string of news still to come before the end of the year and PMY is looking to make the most of its projects in the Northern territory and in Colombia where it is advancing a gold project in a highly prolific gold belt. PMY’s management team has a proven track record of identifying, funding, and developing projects and its NT and Colombian projects are no different. With a market cap of just $4.45 million, PMY will now be looking to shore up its assets and improve market sentiment as it gallops into 2018.